Recently I had the pleasure of talking to Lisa who lives in Penang, Malaysia. 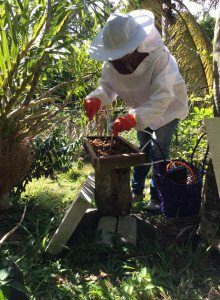 Lisa is only 23 years of age and is a keen stingless bee keeper. Her father has kept stingless bees and so the tradition it seems has carried on. 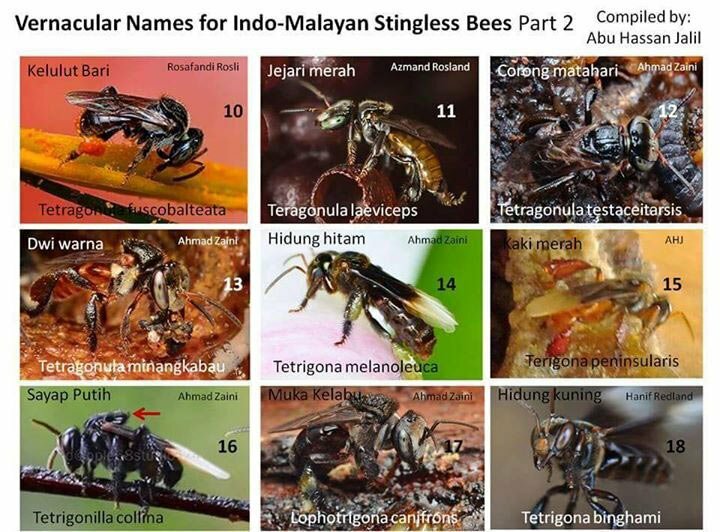 I wanted to document stingless bees from other countries because we have much to learn from our stingless bee neighbors who live in tropical areas right around the world and our journey begins here. Lisa keeps 6 different species of stingless bee; Trigona itama (all blackbee), Lipidotrigona terminata, Geniotrigona thoracica (orange middle and head), tetragonilla collina (white wing), Lophotrigona canifrons and another unnamed bee she calls Hong pu tao which translates to “red grape” as their abdomen is a striking red. 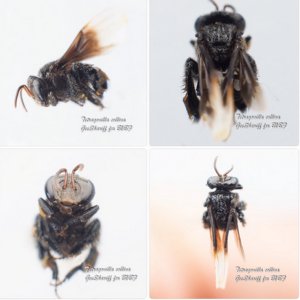 Lisa says that the most popular bees to keep where she lives are the Trigona itama and the Geniotrigona thoracica, particulary because the Thoracica does not stick in your hair as she says. We have small, medium and large stingless bees here. For the purpose of keeping this post short we will look at 3 of her bee species a little more closely. Collina have very distinct white markings on the tips on their wings. Lisa tells me these are a gentle bee much like our Austroplebia species. “They stay in their box if you open them and not fly in your hair”, she says. 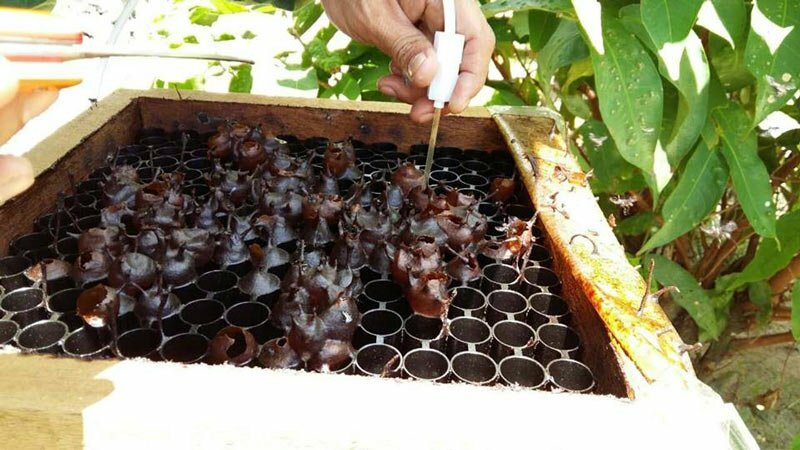 These bees are true resin bees in a sense that they build their nest with very little wax. This makes their structure hard like glass. 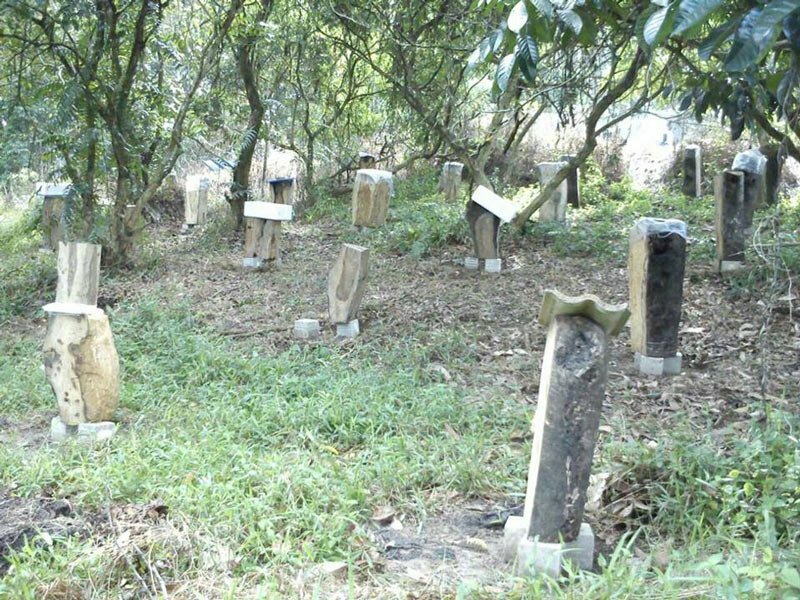 Collina like the forest and must be kept near it or they will fly away. 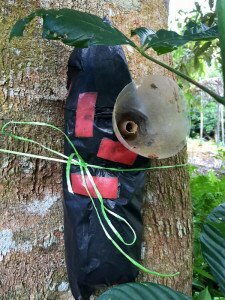 A local tree (Kemenyan) is what they need to build their structure with, much like our cadagi tree. Their entrance can be subtle like our hockingsi or they can have a tunnel. They produce both sweet tasting honey and sour honey depending on what nectar they are feeding on. 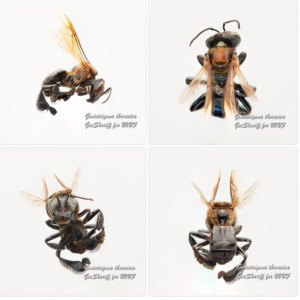 You can liken these bees to our carbonaria bee. 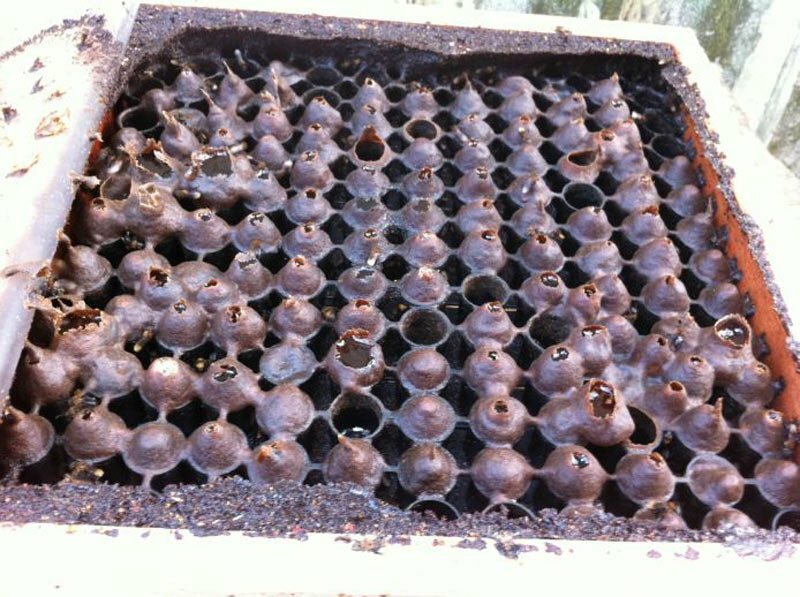 Their body is black, they build their brood in a spiral pattern, they collect sticky wax and they fly out of their box and bite you. Their nest structure is soft to the touch. They make nice pale yellow tunnels out of their entrances. The honey they make is nice and Lisa says they are very popular. Thoracica have an orange thorax and a long appearance with cream coloured tips to their wings. “They fly out of their box when opened but wont bite”. 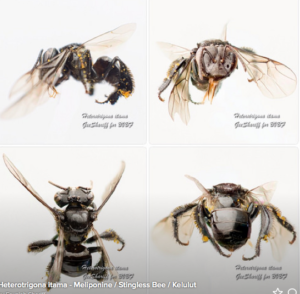 These bees are larger than Collina and Itama bees with a longer appearance. 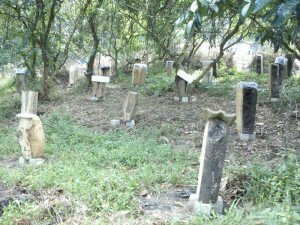 Popular like Itama to keep because they will live in most places. 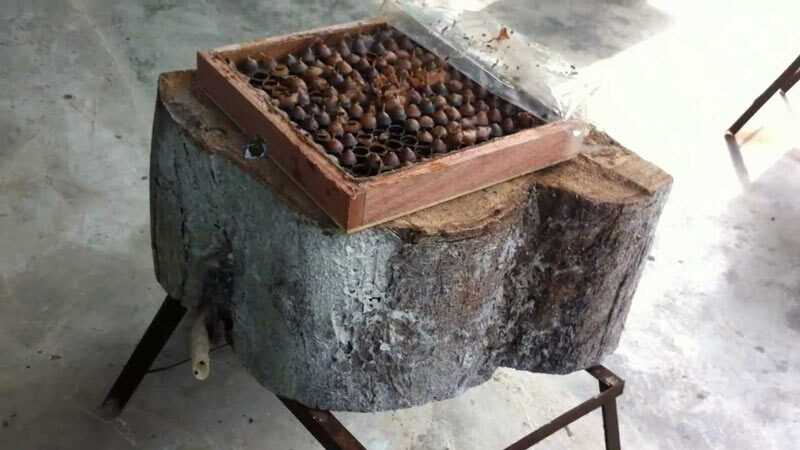 The Collina bee and Hong pu tao make their nest structure with very little ceramuen which means the structure is very hard and brittle like glass. There are more like this but she does not keep them. Itama uses soft wax to build with. He is fatter on the legs, abdomen and head. The other bees look skinny compared to him. 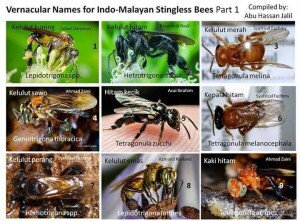 Species of bees in Malaysia. Malaysia has many types of stingless bee. 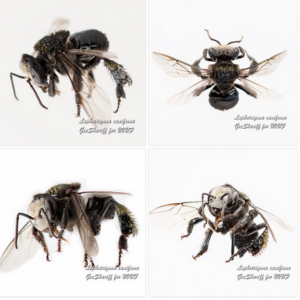 Have a good look at the pictures below and see if you can find the bees Lisa keeps. 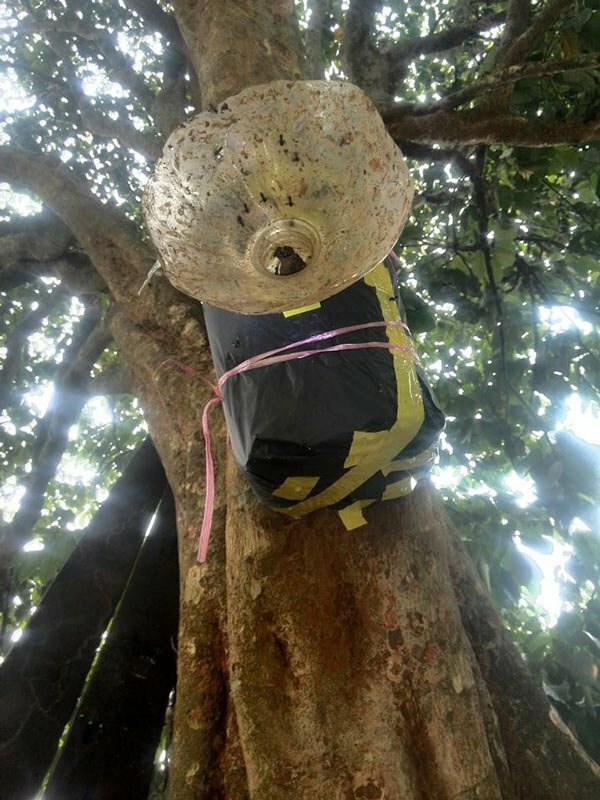 Swarm capture is one way that people in Malaysia catch their bees and is very similar to what has been done in Brazil. This method ensures the survival of native hives in bushland. The method involves making cheap but effective bottle traps by dissolving propolis in methylated spirits and swishing it around in the bottle. The bottle is opened and the methylated spirits evaporates. 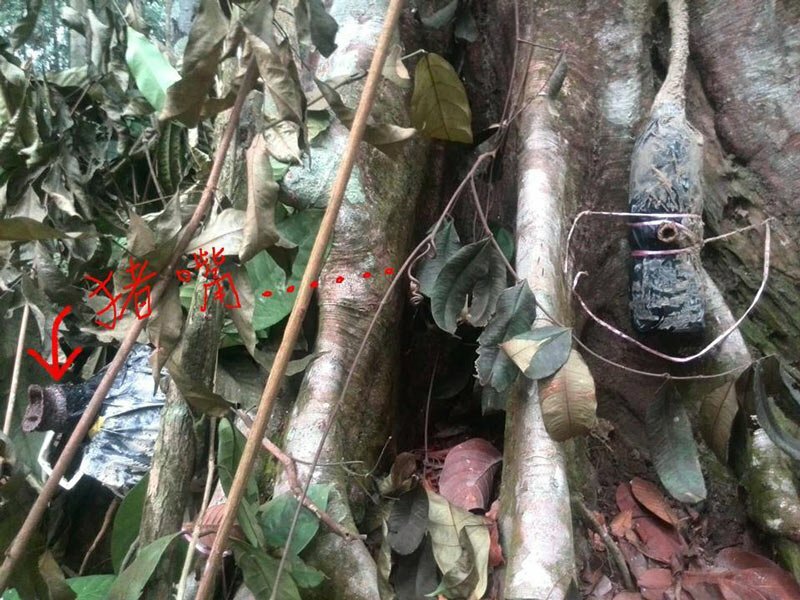 The bottle is then wrapped in plastic to keep light out and tied to a tree where bees naturally live. 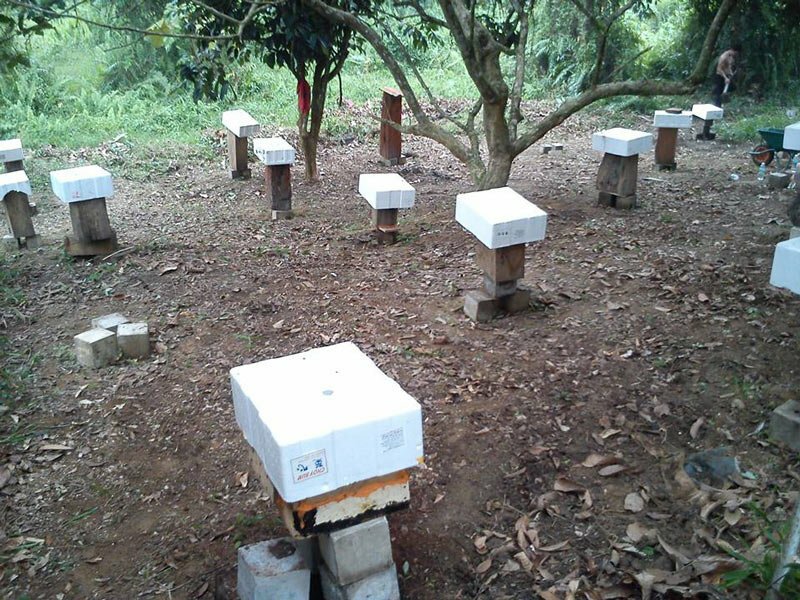 Lisa keeps her hives at her home in a forest and at a relatives house who has a fruit farm. She has about 30 hives in total. She keeps many species together in the one area without fear of bees fighting. 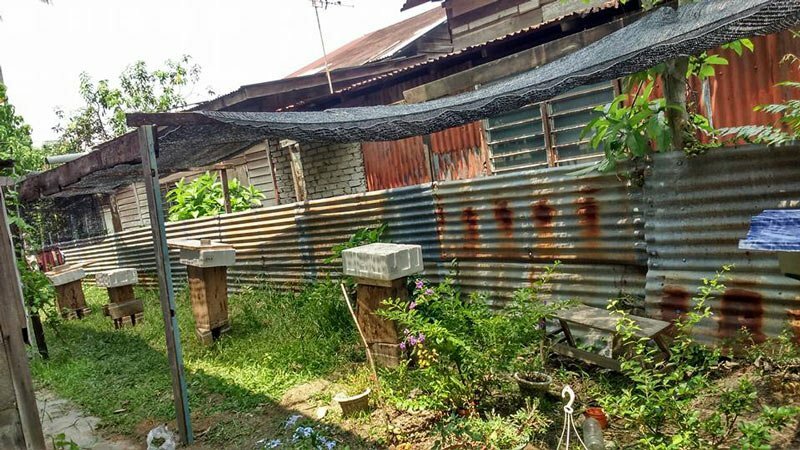 Her hive placement is minimum 1 meter apart with the entrances facing different directions North south east and west so the bees have their own space and do not fight. Facing two boxes together she explains will be a sure way to start a fight. 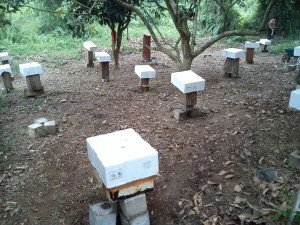 Log hives are favored over boxes for honey production because the bees are already established and are ready to go. 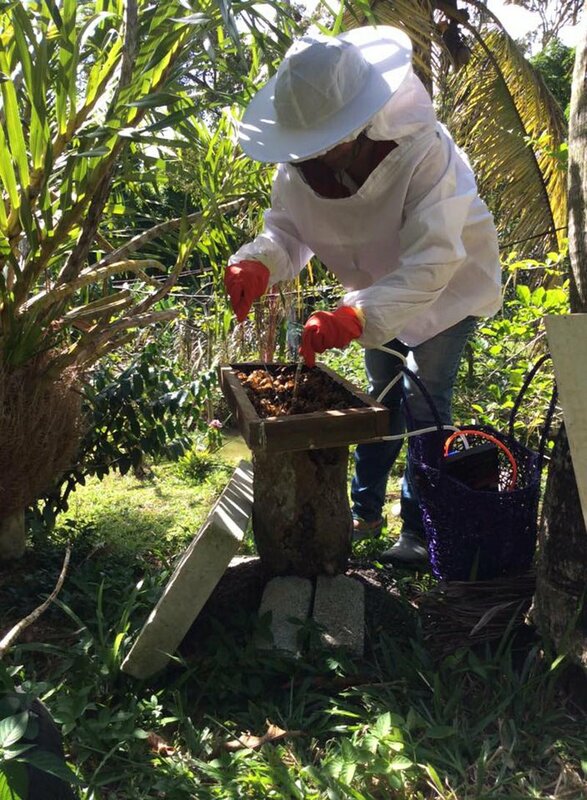 Lisa uses a sucker to carefully take honey from each individual honey pot. She does not like that bees get injured or die with other methods of collection. 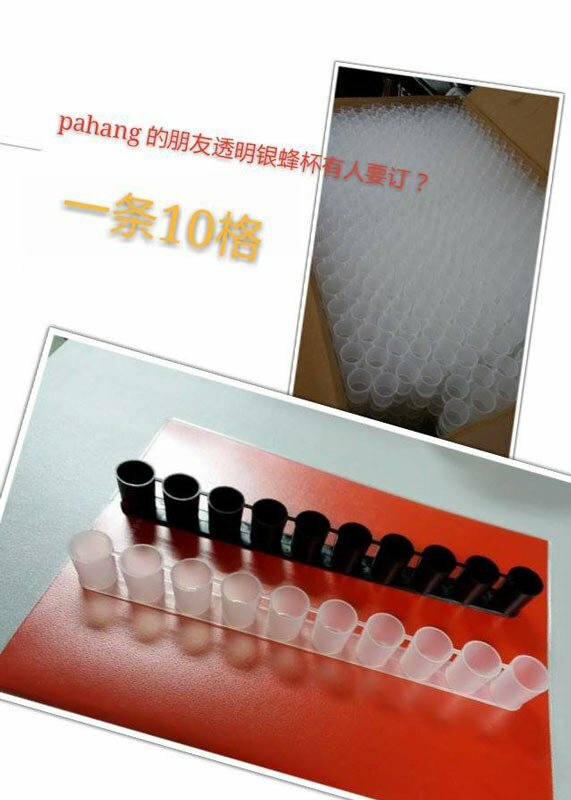 Plastic cups are sold for honey collection but Lisa explains that they are not a healthy choice and ceramic cups are much better for human consumption. She also thinks it’s best if there is no placement of a reservoir. You can see some pictures here of honey collection ideas. Lisa has made frames that sit on top of her logs that the bees place honey pots into. This is where she harvests her honey. The honey value varies between different species. 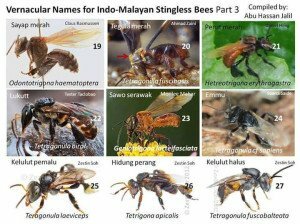 For example: Thoracica and itama’s honey would be worth $150-200 Malaysian, where as honey from the Collina bee would be closer to $400kg. The Redwood tree name translates to mangrove. Special thanks to Lisa for taking the time to answer my many questions and share your knowledge. 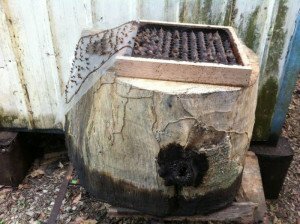 Liked the way they encourage bees for a new hive. Has this method been tried by anyone in Australia. 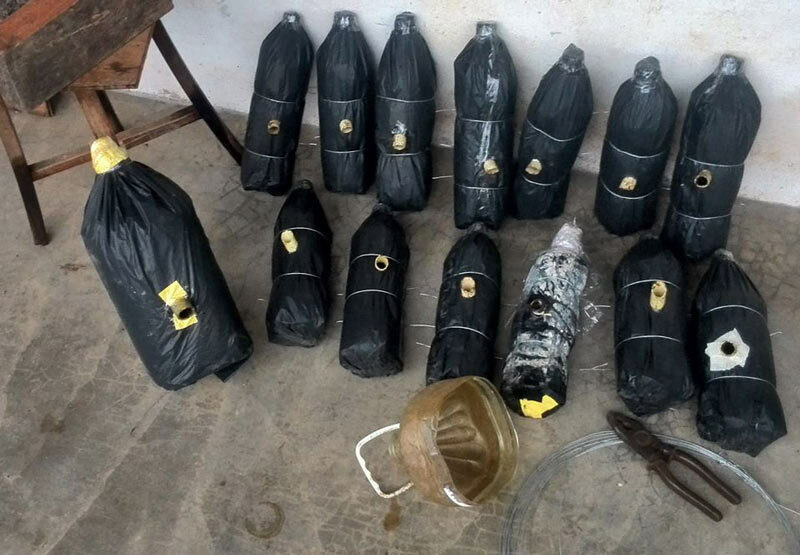 now I have seen the plastic honey pots before in that tray format. Why cant one just remove the tray, scrap and flip, and return the tray after twenty minutes. Or piece them and drain. Must be a reason. Nick! Congratulations on a very nice post. It’s well researched and educational. I love the swarm traps and the discussion of the different bee species. I loved the photos. Keep up the good work. Thank you Dean. I think it’s important to look a what other countries do with their stingless bees so we can learn a bit more. 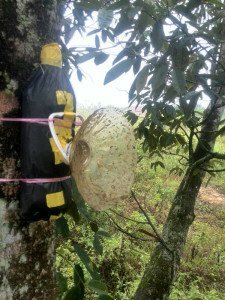 That is a great report on the stingless bee methods in Malaysia. 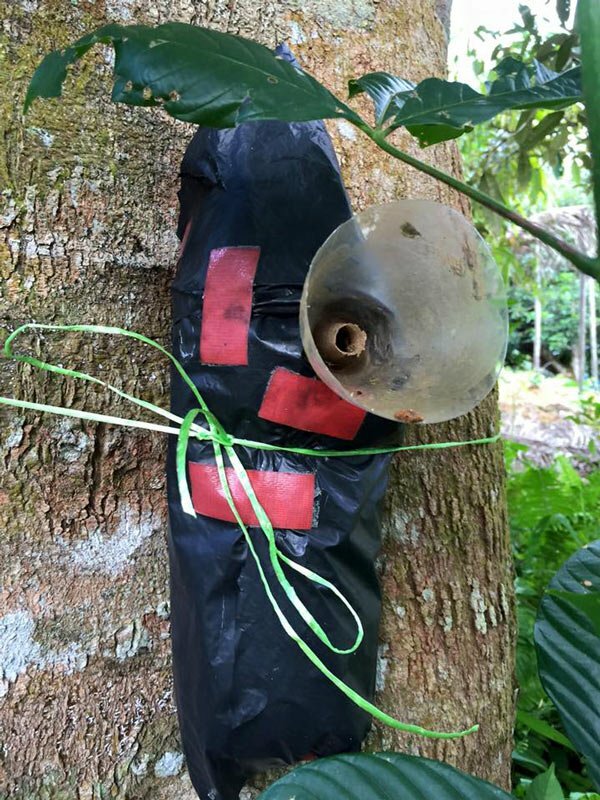 Well interviewed, and illustrated, and you have brought out the discussion going on over there between those using the plastic honey pots and natural cerumen pots. 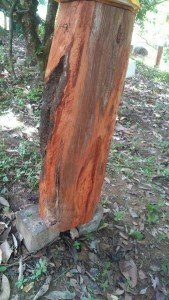 The reasoning for the log colonies, that they are immediately re4ady, I found interesting, and I would add another. The thermodynamics would be right. 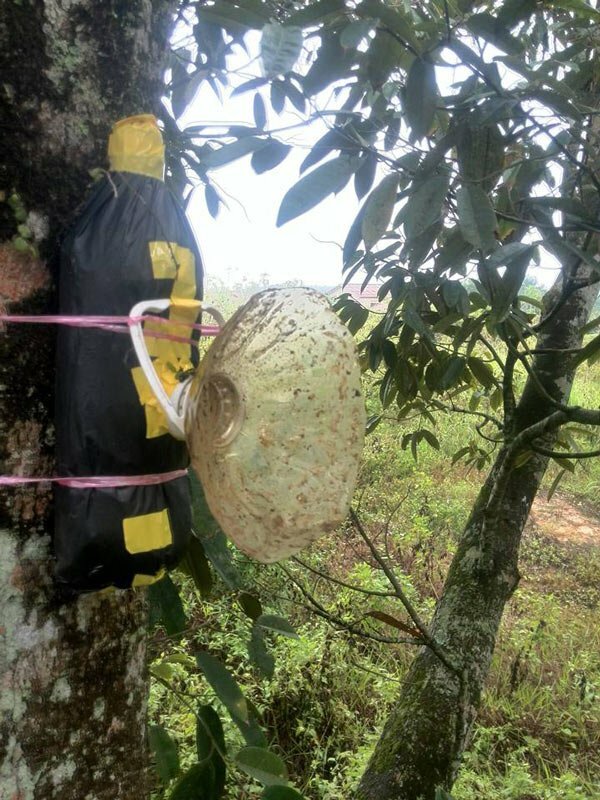 The report on swarm traps is in fact very similar to what is reported from Brazil, and much more positive than we has recently been suggested here. It is something that I am trying, but I know from the Brazilian experience, it is very much in the technique. Some are successful, and with many species. Some bee keepers are unsuccessful. Only a few people here have made limitied efforts to get the system to work, Brazil has put decades in to make it work, and is still working to widen the range of species. Seems it is being discounted here on the grounds of very few tests, and little effort. 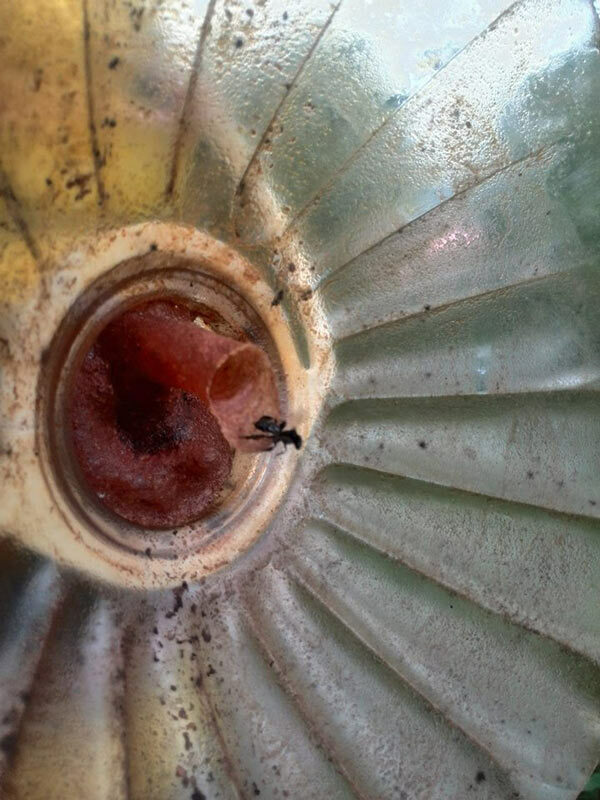 The use of suction to collect honey as was reported, is to ensure absolute cleanliness, and limit the number of bees lost. Again, this contrasts dramatically with methods used here. My frame is the only technique that would go close, and I believe a demonstration would satisfy even the reservations that are felt there. 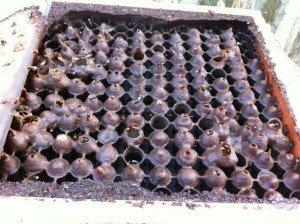 There is very little contact with plastic in my frames, which really are just a place in which the bees can build a honey pot in an extractable array. All in all, Great interview, and intervee. Congratulations. 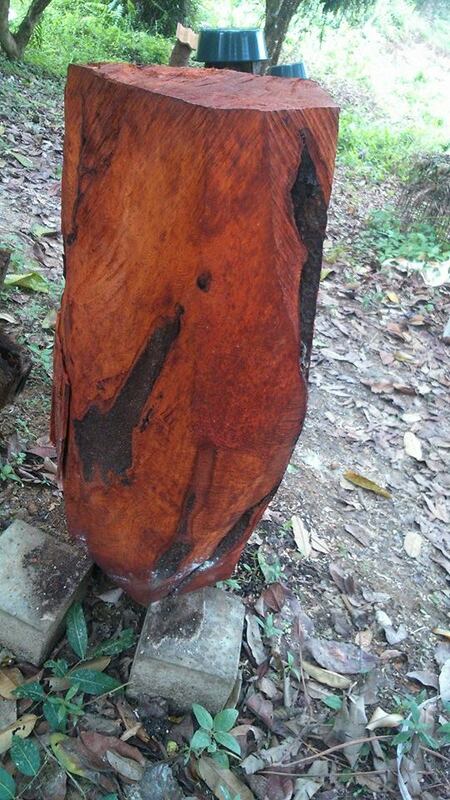 Oxidisation of food products is something that many overlook, be it beer or honey. Taste honey from a comb verses one from a extractor, and any experienced taster will tell you which is which, based on oxidised flavours. Its the reason I HATE the suction method, it does the honey no good, especially flavours in long term storage. far too much airflow, bubbling and oxygen contact. I have my own method that allows clean honey with a the smallest amount of oxidisation. I am also trialing a new system that will allow even better clean extraction.